2012 Decimal Coins There are 65 products. 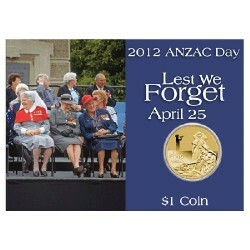 2012 $2 Remembrance Day non-coloured Coin in Pack. Enshrining the rich symbolism of the Flanders Poppy within official Australian legal tender, the royal Australian Mint's 2012 $2 Remembrance Day Coin is a poignant military commemorative. 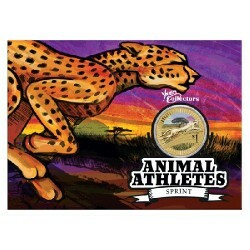 2012 $1 Young Collectors Animal Athletes – Rocket Frog Unc Coin in Card. This frog goes like a rocket and is so named because of its remarkable long-lump abilities and stream-lined body. The Rocket Frog has incredibly long and powerful legs, which can propel this little amphibian over vast distances compared to its 5cm size. 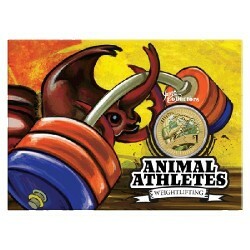 2012 $1 Young Collectors Animal Athletes – Sailfish Unc Coin in Card. The fastest fish in the ocean, the spectacular sailfish can reach speeds of 110 kilometres per hour. Compare this to the world’s best human swimmers, who, dependant on water conditions can only reach top speeds of up to 8 kilometres per hour. 2012 $1 ANZAC Day Coin - Australian Defence Force Nurses Preserving the knowledge of wartime sacrifices made by members of our nation’s Defence Force is important to each new generation of Australians, as the number of people attending ANZAC Day ceremonies testifies. 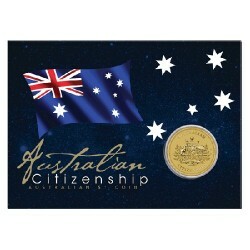 2012 $1 Australian Citizenship Uncirculated Coin in Card. 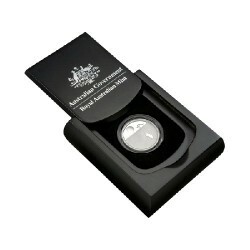 The Perth Mint is proud to announce the release of its annual 2012 Australian Citizenship $1 Coin. 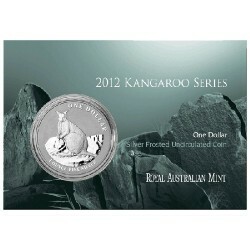 2012 $1 Kangaroo Silver Frunc 1oz Coin The 2012 Royal Australian Mint continues its long running kangaroo series with the Mareeba Rock-Wallaby. 2012 $2 Mini Roo 0.5gm Gold Bullion Coin in Card This delicate, button-sized release presents a golden opportunity for anyone to own an iconic Australian coin. The design portrays a kangaroo in outback Australia and is struck from 99.9% pure gold. 2012 10c Australian Koala 1/10th oz Silver Bullion Coin in Card. This delightful coin features original artistry and is struck by The Perth Mint from 99.9% pure silver in bullion quality. 2012 $1 Kangaroo at Sunset 1/5 oz Silver Proof Coin The contemporary design of the Kangaroo at Sunset coin has made it one of the most sought-after collector pieces from the Royal Australian Mint. 2012 $1 AFL Premiership Sydney Swans Uncirculated Coin in Card Released in commemoration of the Sydney Swans Premiership AFL win.